In one of my favorite movies, Wag the Dog, we declare a fictional war on Albania in an attempt to manipulate a presidential election. While the movie (which was made 18 years ago) posits a ridiculous scenario, it is coming of age in today’s era of ubiquitous Internet and inexpensive video editing and social media aggregation tools. According to Adrian Chen’s article in the New York Times, a secretive Russian agency has been fabricating various events for both American and Russian audiences using very similar “Wag the Dog” scenarios. Chen finds You Tube videos, fake Twitter accounts by the truckload, and phony websites and other postings that seem to all come from this agency. The effort is so realistic that many people are fooled into thinking its fabricated disasters, conflicts, and other newsworthy events are real, rather than the work of some clever and dedicated troll army. Call it life imitating art 2.0. What took the prowess of a Hollywood producer (played superbly by Dustin Hoffman) and a studio back lot can now be done with a few clicks of a mouse and the right voice actor narration. Thanks to social media, it is easy to get something as a trending topic that is all a complete fabrication. Russia seems to excel at truth-bending: witness the made-up details about the crash of MH17 in Ukraine. Whether you believe the plane was targeted by the Russians or the Ukrainians or just an accident, a year later it is still hard to tell. Back with the real World War II we had squadrons of mis-information groups that didn’t have access to the Internet and personal computers. But they still managed to invent some amazing stories. If you want to read about one of them, try Agent Garbo, which accounts about the real life of one spy who managed to trick the Germans into thinking the Allied D-Day landings were happening elsewhere. And it all was done through the sheer force of his personality too. So a lesson from all this is to be more skeptical, I guess. 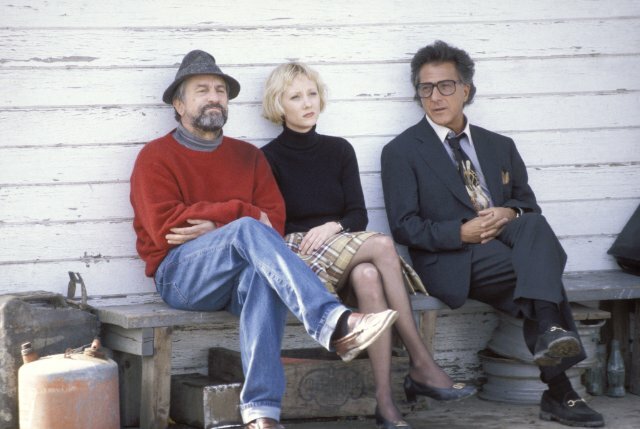 And in Wag the Dog, Hoffman’s character says, “It’s the best work I’ve ever done in my life, because it is so honest.” Truer words were never spoken. Trust, but verify. We mustn’t forget the classic Hollywood WW2 misinformation film, “The Man Who Never Was.” Also, the wider issue of what trolling does to the usefulness of the Internet seems worthy of more mention. It does make you wonder whether the Web’s usefulness for protest is going to decline. After all, we have lots of trolls here, too; they’re just more privatized and not directly serving the government.